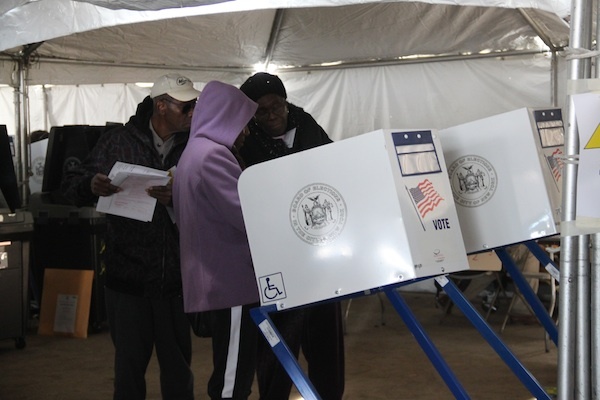 Voters casting ballots at PS 180 in Rockaway Park. First came Hurricane Sandy. Then, just a week later, came the New York City Board of Elections. That’s how residents of the Rockaways felt this morning as they emerged from damaged, powerless houses to vote, many of them to decide one of the city’s most competitive races: a battle between Democratic state Sen. Joe Addabbo and Republican City Councilman Eric Ulrich for Addabbo’s seat in the 15th District. But if there was once any excitement about that race, which could help determine control of the state Senate, it was lost as voters grappled with spotty information and arduous trips to unfamiliar polling stations. “We lost heat, we don’t have any food, and it feels like we have to fight to vote. We shouldn’t have to fight for that,” said Sheryl Charles as she rode the Q22 bus with her mother, Dolores. She awoke this morning in her condo in Rockaway Beach with no electricity, no car and no idea where she could vote. In the wake of the hurricane, the Board of Elections closed damaged polling stations citywide and consolidated election districts at new locations. The 27 damaged polling stations in Queens were condensed into just six new sites. For voters in the Rockaways, that meant miles-long trips with unreliable bus routes and dozens of closed roads. At PS 104 in Far Rockaway, where Charles needed to cast her ballot, residents from six former voting centers were due to arrive. But the Board of Elections did not finalize its list until Monday night, just around 12 hours before voting began. In heavily damaged areas like the Rockaways, where TVs are dark and Internet coverage is spotty, it was too late to reliably inform the public. Many residents, like Charles, found out about the changes only through word of mouth, relying on neighbors with printed lists or working smartphones. Armed with what she thought was the right address, Charles went looking for the free shuttle buses arranged by the board to take voters to the polls. The first one drove by her and her mother without stopping. The second dropped them at the wrong polling place. Go to PS 104, said election workers. Already an hour into their journey, Charles and her mother boarded the Q22 bus, commiserating for another 30 minutes with a knot of frustrated voters sitting in the rear seats. “They tell us to call, they tell us to go on a website, but we can’t!” said one woman. Charles exited the bus on Mott Avenue with PS 104 still a 20-minute walk away, but she set off immediately. At home, her grandmother, sister, father and brother-in-law were safeguarding the house and waiting for her to return so they could make the 3.5-mile trip themselves. For one of the candidates, the ordeal appeared to reflect a deliberate attempt to swing the outcome of the vote. Ulrich, the 27-year-old Republican candidate who also chaired the Romney campaign in New York City, charged on Monday that polling places had deliberately been moved away from those areas most likely to vote for him. As he voted at PS 63 in Ozone Park this morning, he renewed the attack. Many voters agreed that the Board of Elections had failed to get the word out. Michael Kissel, who cast his ballot at PS 63, said that planning should not have come down to the night before the election. “That’s administrative incompetence,” he argued. At PS 180 in Rockaway Park, where voting opened 40 minutes late because the temporary generators were not ready on time, Emelia Narvaev waited in line to cast her ballot in the tents that filled the school’s courtyard. She was on her second attempt of the day, having first gone to another school that was closed and following signs from there. “There are many people in the Rockaways who don’t know where to vote,” she said. But if they were frustrated with the board, most voters showed little knowledge of or interest in the Senate race that was supposedly a hot contest. The ordeal of the hurricane made local politics a low priority. After a two-hour trip and an hour in line, Sheryl Charles finally cast her ballot at PS 104. She left the polls and headed for home, hoping to allow her relatives to vote and return to the house before darkness fell and the looters that have appeared in the neighborhood since the storm came out. If there was any joy in having voted, she didn’t show it. 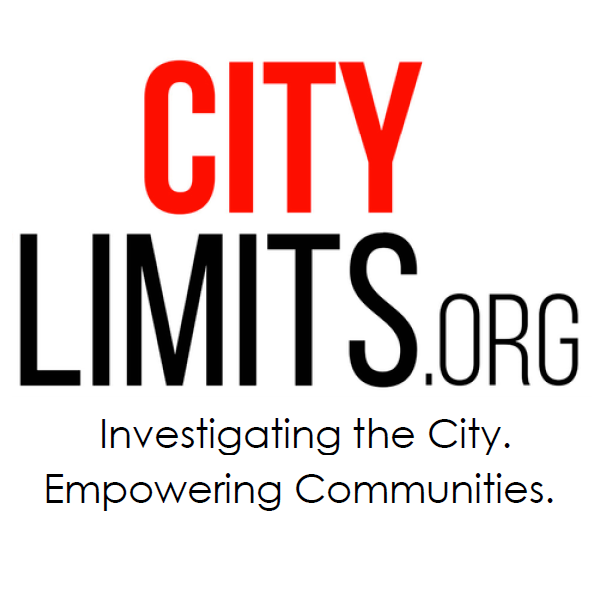 From Gerritsen to Coney, trusted local organizations and ad-hoc operations have stepped into a void left by overstretched city departments and low-profile federal agencies. Not much rain is expected, but high winds will hit hurricane-weakened trees and push seawater toward areas eroded by Sandy.